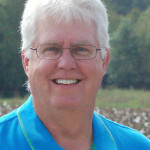 The National Cotton Council directors and state unit officers for 2016 were announced at the NCC’s annual meeting held in Dallas, TX, in early February. Producers – Kendall Wannamaker, Saint Matthews, SC; Nathan Reed, Marianna, AR; Shawn Holladay, Lubbock, TX; Dan Thelander, Maricopa, AZ; and Michael Tate, Huntsville, AL. Ginners – Levin Lynch, Florence, SC; David Blakemore, Campbell, MO; Jerry Stuckey, Moscow, KS; Robert Gladden, Stanfield, AZ; and Ron Craft, Plains, TX. Warehousers – Donald Robinson, Garner, NC; Charlie Jackson, Memphis, TN; Thomas Clodfelter, Seminole, TX; and Brett Underwood and Ron Harkey, both of Lubbock, TX. Merchants –Jordan Lea, Greenville, SC; John Mitchell, Prattville, AL; Hope Brooks, III, and Jeff Johnson, both of Cordova, TN; and Bobby Walton, Memphis, TN. 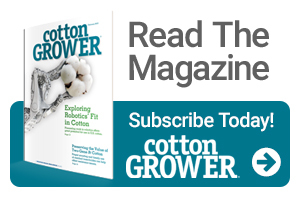 Cottonseed – Andy Borem and Sammy Wright, both of Tifton, GA; Austin Rose, Oklahoma City, OK; Paul Scruggs, Overland Park, KS; and Ronnie Gilbert, Lubbock, TX. Cooperatives – Keith Lucas, Garner, NC; Jeff Thompson, Prattville, AL; Meredith Allen, Greenwood, MS; Sam Hill, Lubbock, TX; and Cindy Walters, Bakersfield, CA. Manufacturers – Anderson Warlick and James Martin, both of Gastonia, NC; Robert Chapman, III, Inman, SC; Robin Perkins, Sanford, NC; and Owen Hodges, III, Columbus, GA.
Virginia –James Ferguson, producer, Emporia; Randy Everett, producer, Stony Creek; and Mark Hodges, III, ginner, Emporia.